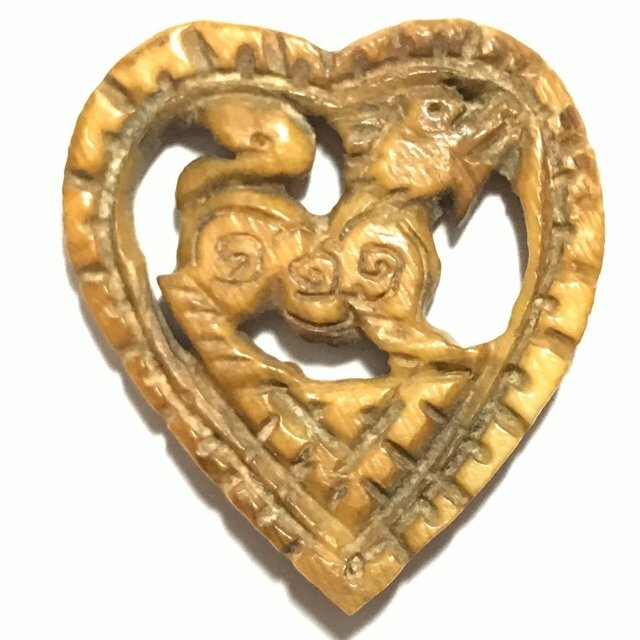 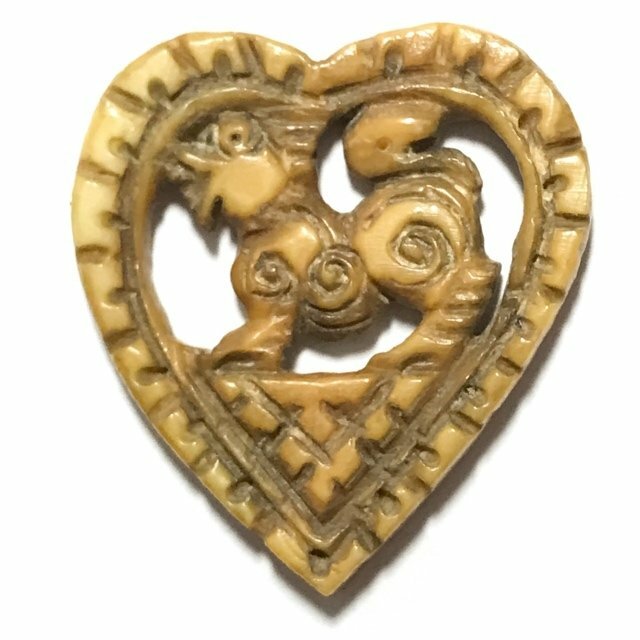 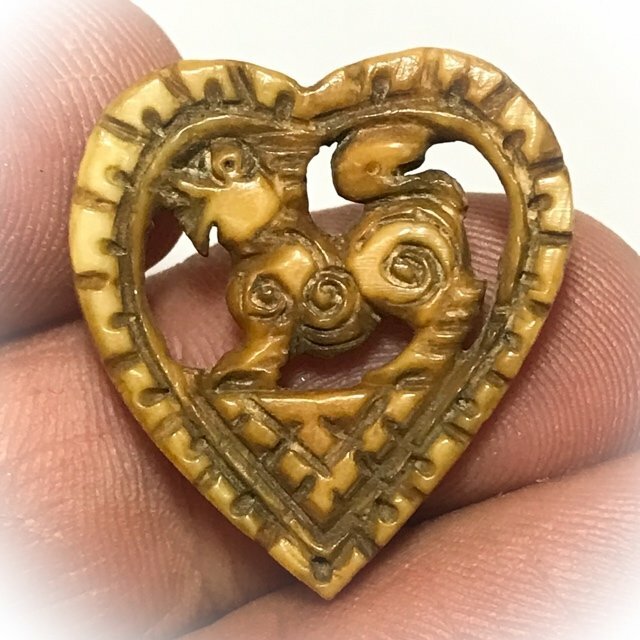 The Classic 'Singh Sam Khwan Pim Roop Hua Jai' Hand Carved Ivory Heart Shaped Amulet with Singha Himapant Lion, carved exquisitely within the heart shaped frame. 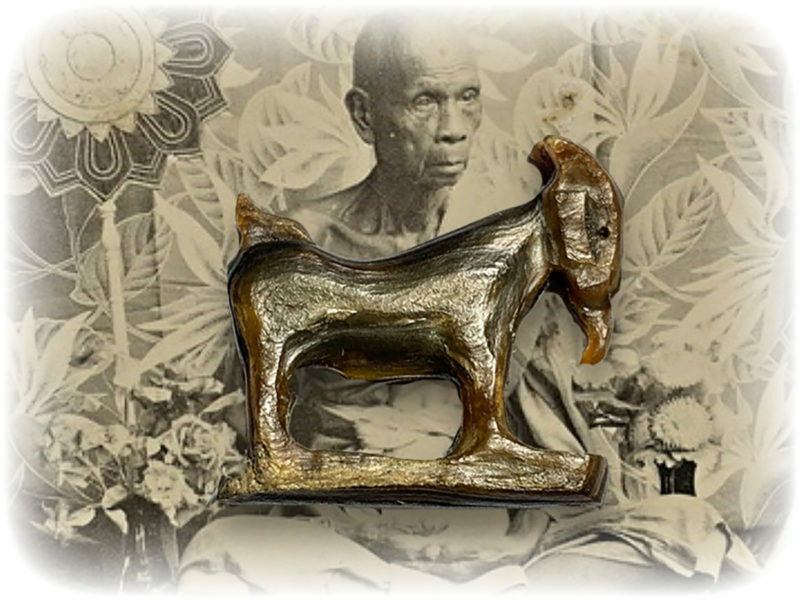 This exhibit is clearly made by one of LP Derm's preferred top artisans, for blessing by the Great Olden Days Master of World Class Legendary Status, Luang Por Derm Puttasaro, of Wat Nong Po. 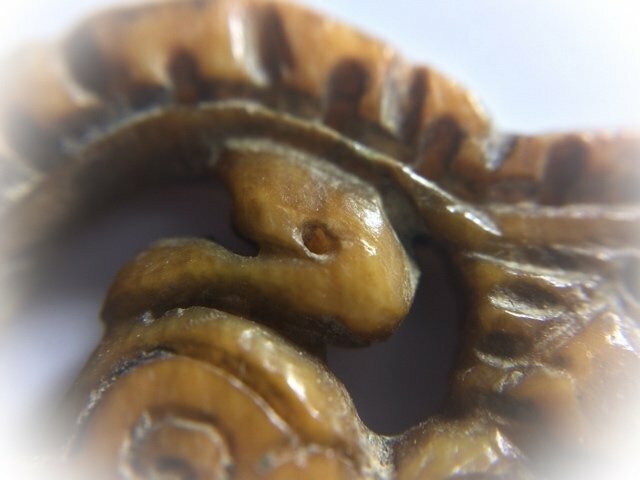 Estimated made around 2460-2470 BE, this immensely detailed and decoratively carved amulet, is both imbued with the natural Power of Maha Amnaj instilled by mother nature believed to dwell within all Teeth and Tusks, of Tigers and Wild Boars and Jungle Predators, as well as within all the bones of such creatures, as well as being empowered with the Wicha Singh and Wicha Rachasri of Luang Por Derm. 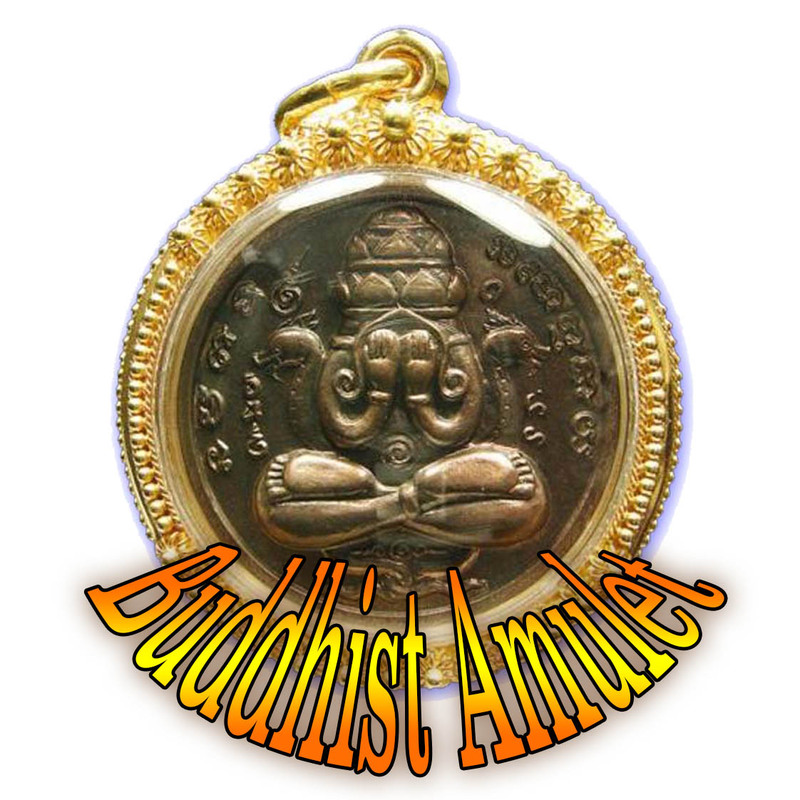 onsidered a very powerful protection amulet. 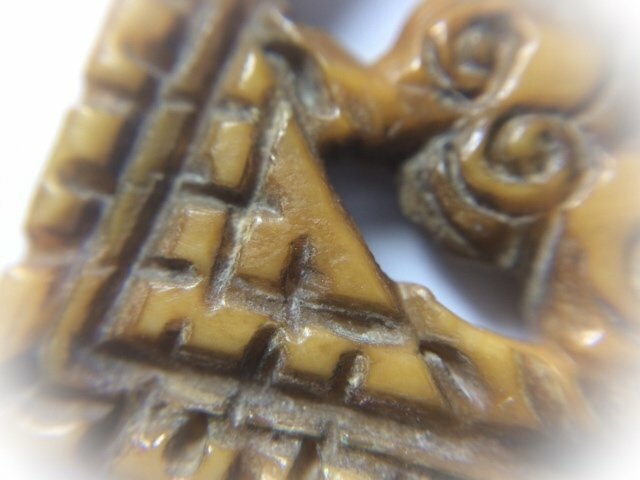 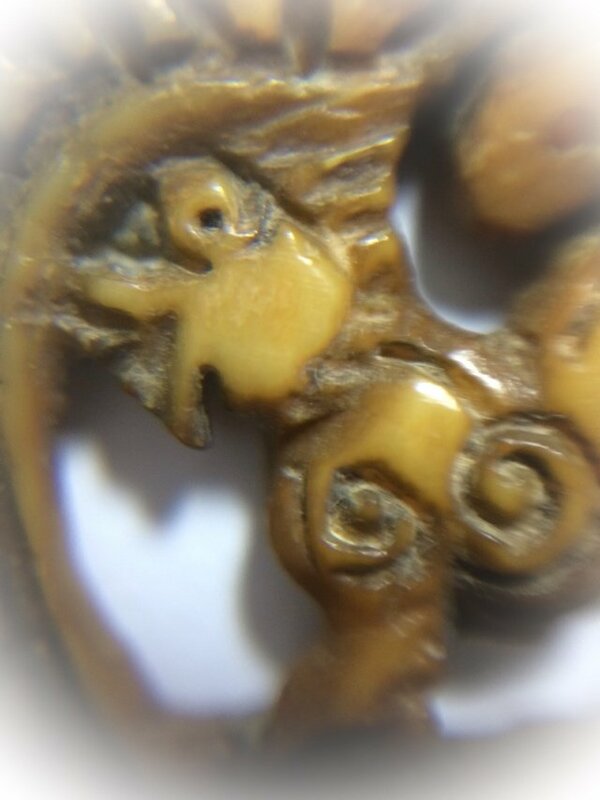 This item is a Master Class amulet that is not only revered and sought after for its Magical powers, but also for its immense beauty and status as a work of Minature Buddhist Antique Arts. 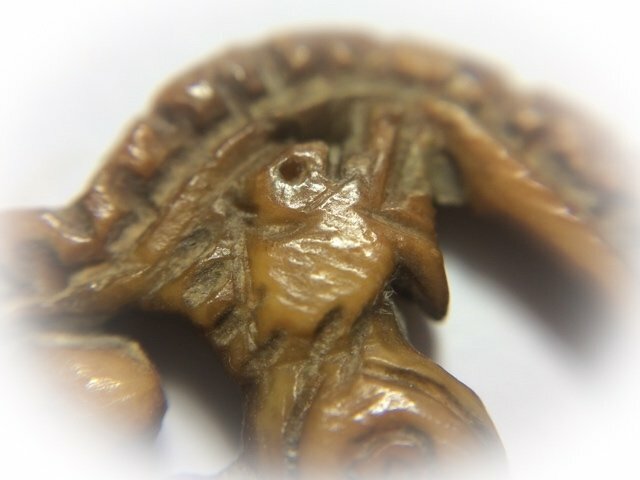 This exhibit is a well known accepted preferred 'Niyom' class model, and stands out from others for its incredibly beautiful artisanry and design, and detail in the carved relief, as well as for its character and ease of recognition through the visibly natural aging process which has given the amulet its beautiful Patina. 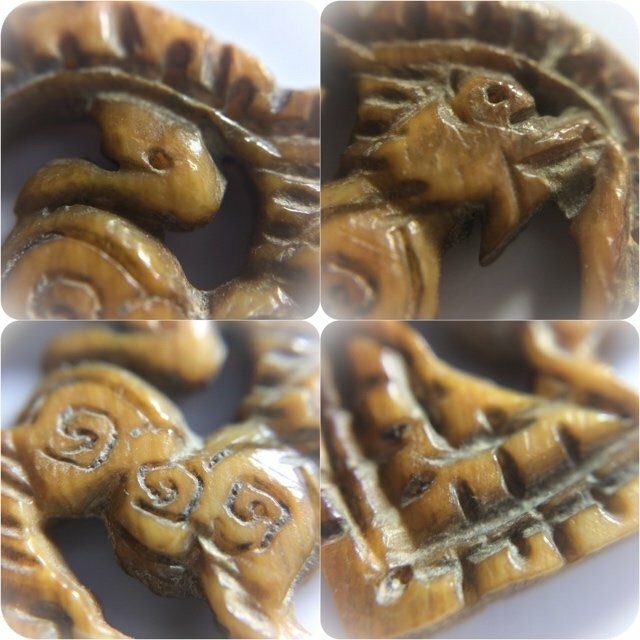 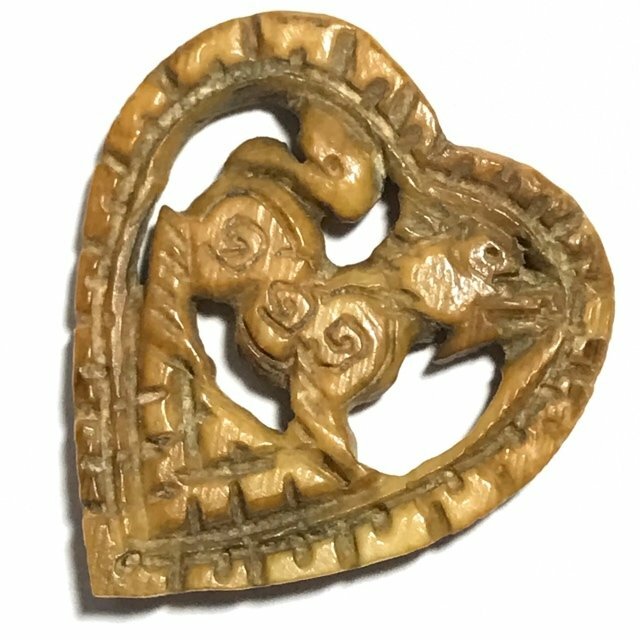 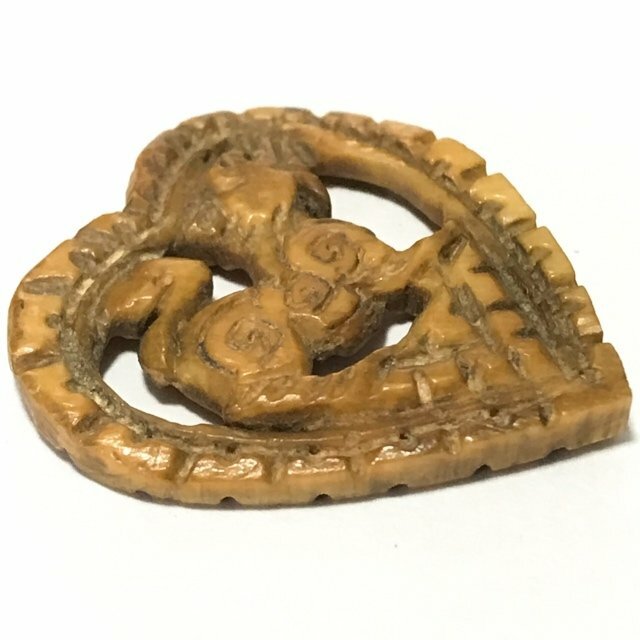 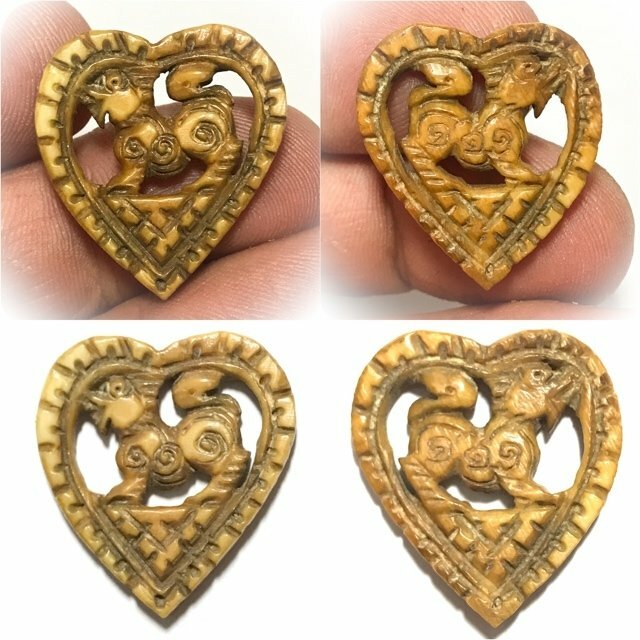 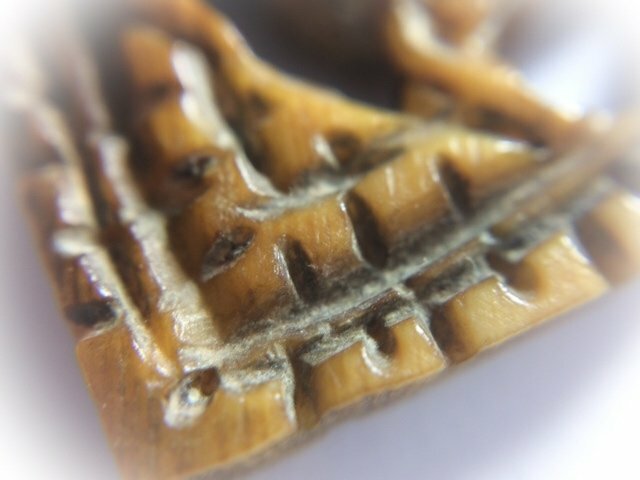 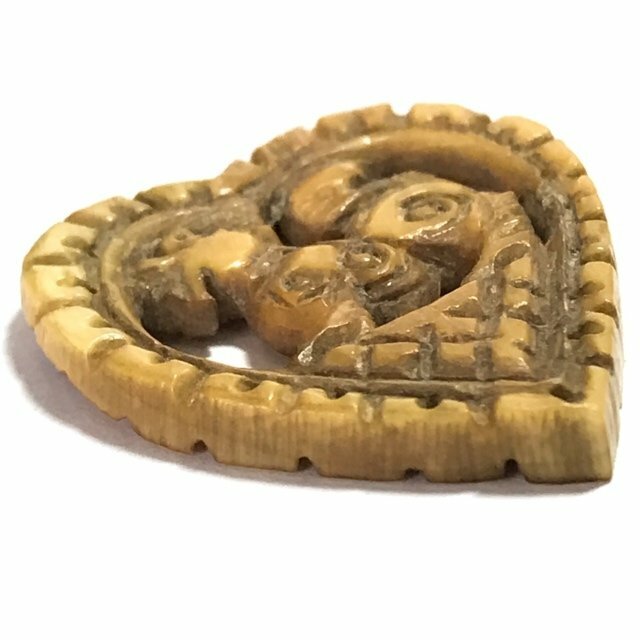 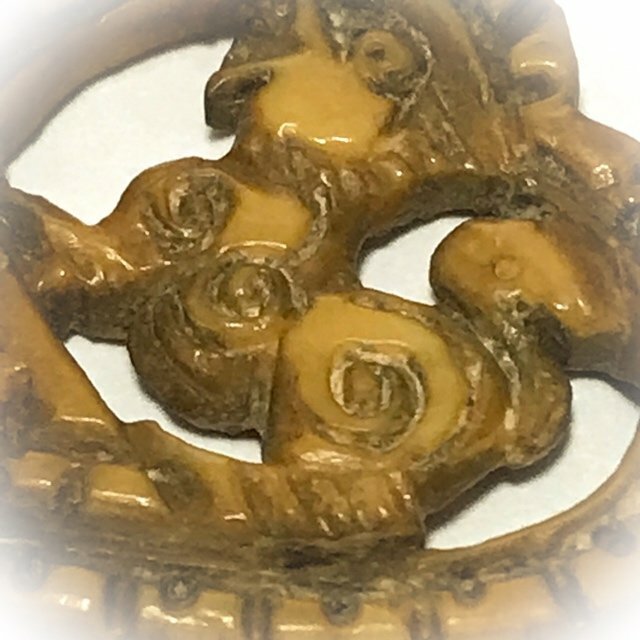 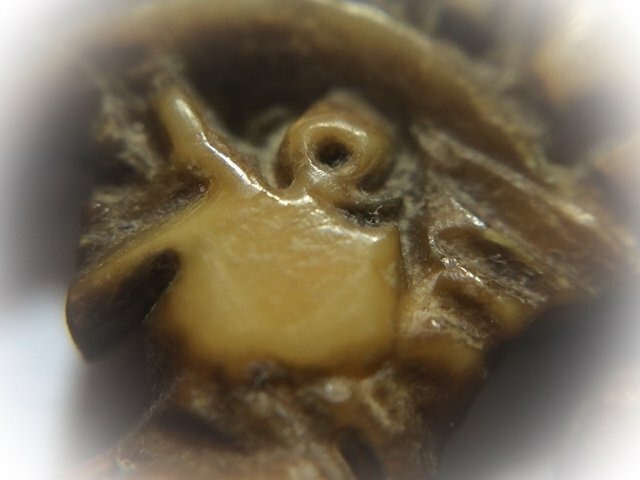 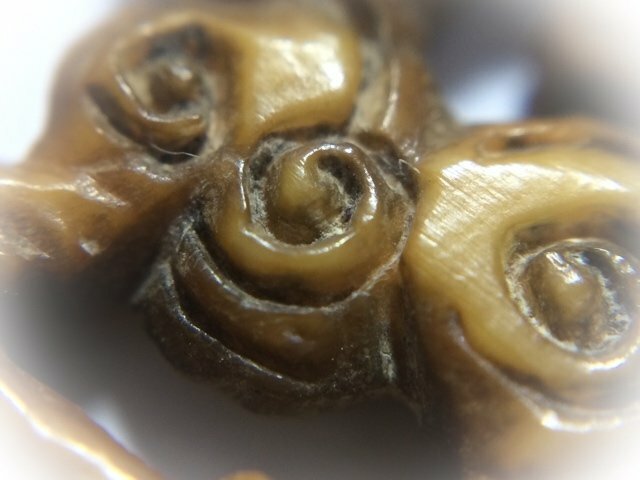 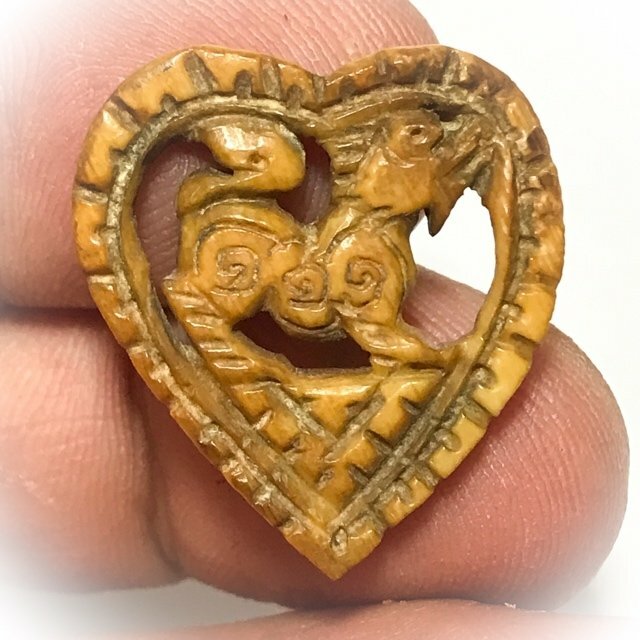 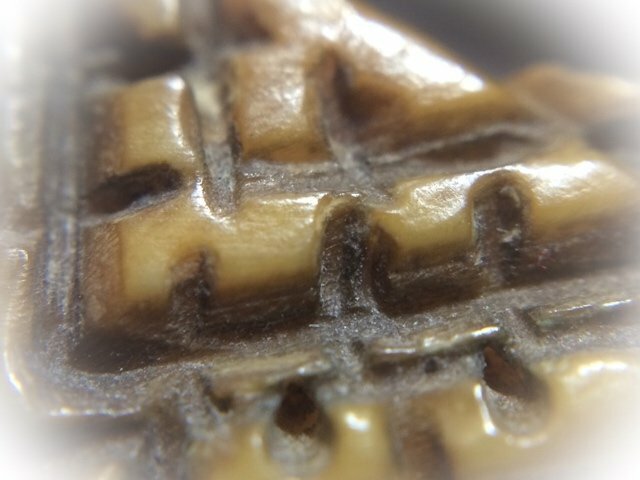 Below; the heart shaped carving model is visible in the official pantheon, which makes this a definite preferred item for devotees and collectors of the carved ivory and other amulets of LP Derm. 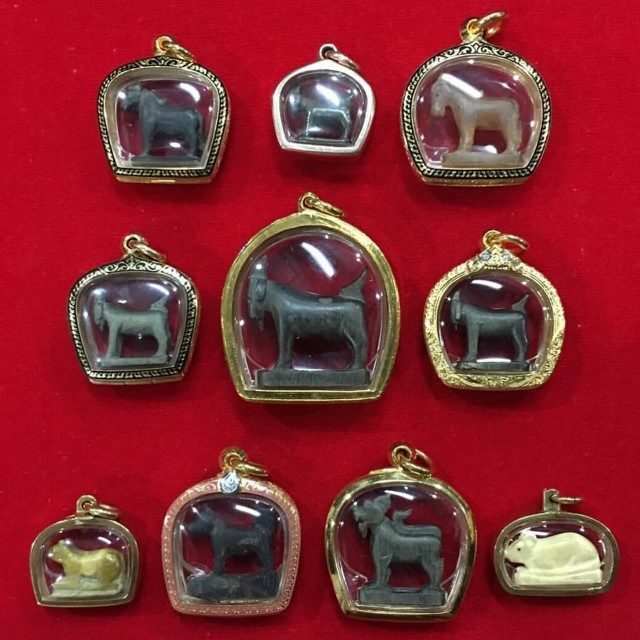 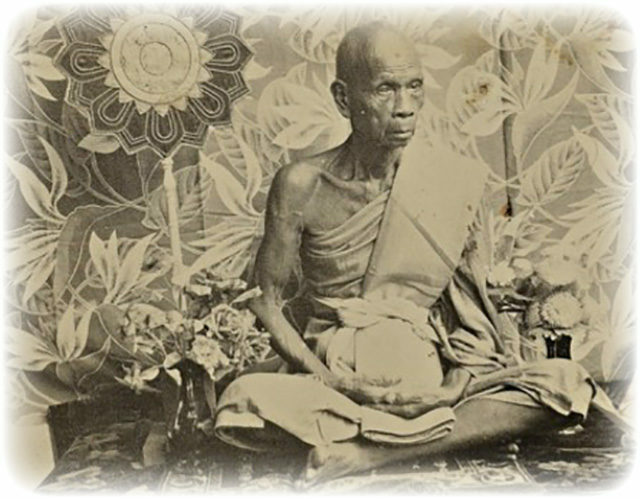 For indeed the many devotees of Luang Por Derm, are never prone to part with their amulets, which are highly revered as Buddhanussati Remembrance of the Great Master, and considered irreplaceable for their Great Magical Power to Protect from Danger, Evade Hardships, and Nurture Success in Life's Undertakings. 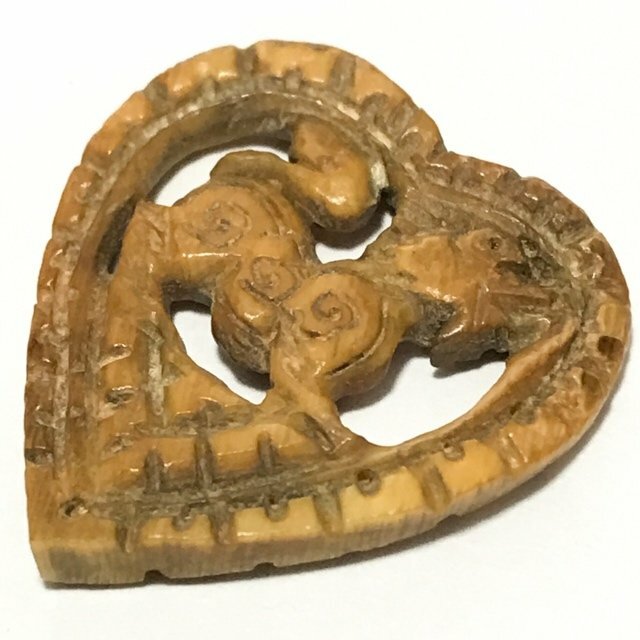 An item such as this is something that is not seen very often in the present era. 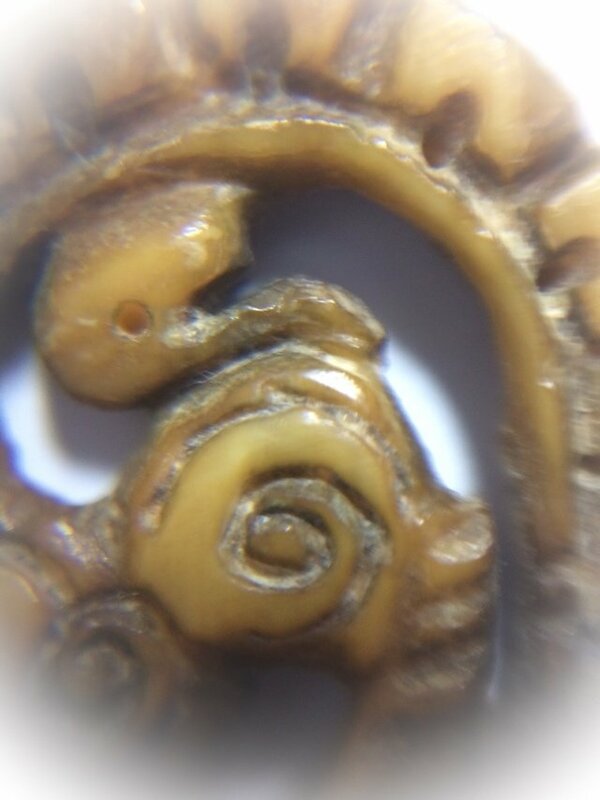 It is the hope and dream of all true devotees of LP Derm, to possess a carved Ivory Singha such as this, of the Great Master LP Derm, for its immense fame and popularity for Maha Amnaj Kong Grapan, Klaew Klaad and Serm Yos Power.